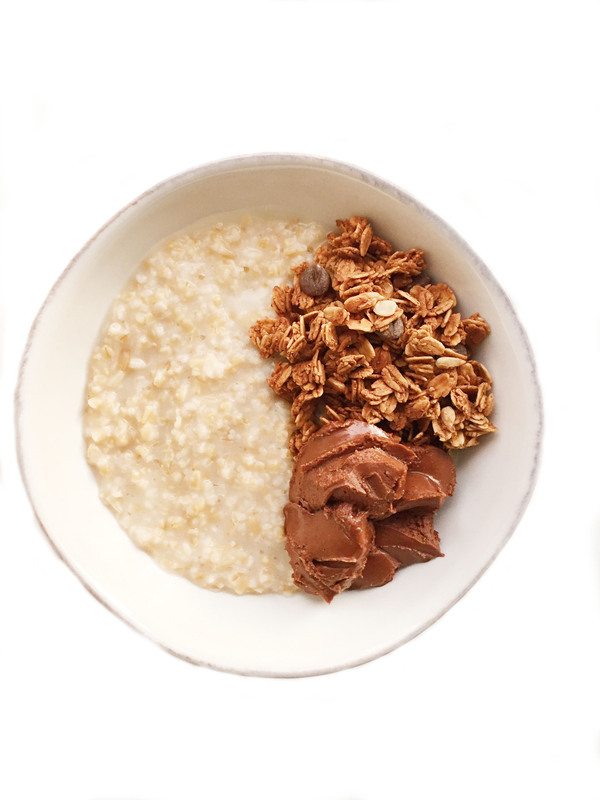 Double Chocolate Crunch Oatmeal, a rich and chocolate-y treat to start your day. Lately I have been making more and more steel cut oatmeal over the stove. I’m not sure if it’s my lack of food prep during the holidays or I just want to start my day with something warm and comforting yet nutritious. The holiday season is such an amazing time of year filled with so many fun events with our friends and family. My Mom’s birthday was last week then we had Christmas Eve, Christmas Day and our family Hanukkah celebration. I am so fortunate that I am surrounded by a loving family filled with so many special memories each holiday season, but it is definitely a different food schedule than we are all used to normally. That’s why I love to make sure I always have a wholesome and filling breakfast to fuel me and help me stay on track during this time. 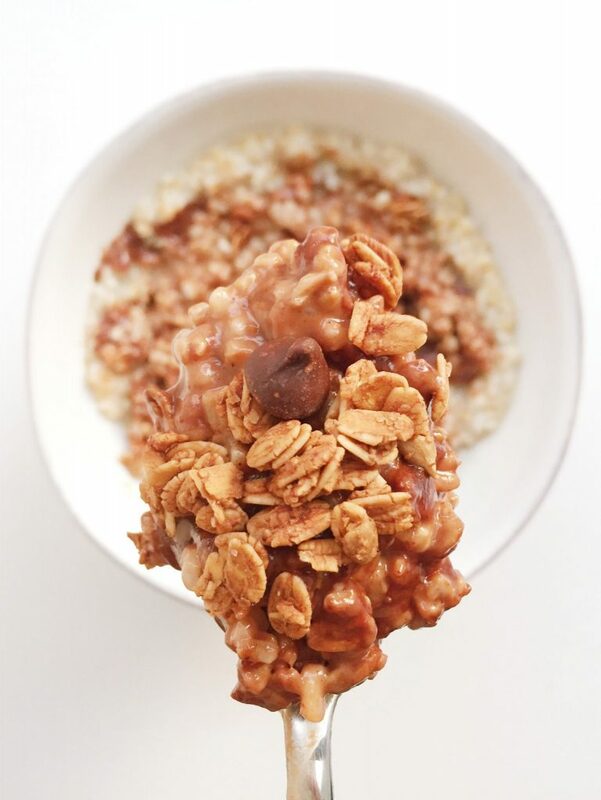 This Double Chocolate Crunch Oatmeal is made in just 20 minutes over the stove and will keep you full until lunch time. It is filled with healthy fats, carbs, fiber and protein plus it is sweet yet not too indulgent for your tastebuds. It was adapted from my Honey Vanilla Overnight Oats, which everyone seemed to love too! 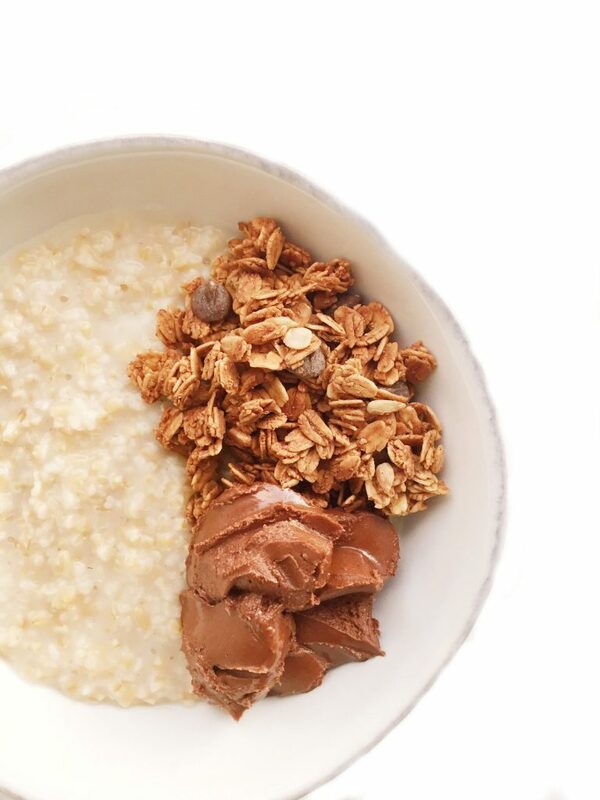 For Double Chocolate Crunch Oatmeal you will need steel cut oatmeal, almond milk, justin’s chocolate hazelnut butter and chocolate granola. Yup, that is right, only 4 ingredients total for this tasty bowl of oats. why must you be so amazing?!!! !